﻿ Insurance Coverage and Bad Faith Claims Waukesha Milwaukee | Duffey & Associates, S.C.
We have served the insurance industry for more than 15 years, and know the business and legal concerns confronting the industry. We regularly handle disputes between insurance companies, and also work to resolve policy holder disputes regarding the availability of insurance coverage. 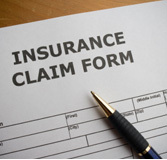 Contact Us today for a Free Consultation about your insurance coverage issues.